Prestashop Zipcode Validator- With this module, now the availability of the products at a location can be searched through the zip code. Now, the buyer can see if the product is available at a specific location or not. Global and product zip code can be added separately. Admin can add zip code availability with a particular product. Admin can also add global zip codes which will be added to all the products. A CSV file can be uploaded to add product & global zip codes. Admin can individually assign zip codes to every combination of product. Admin can view the list of zip codes assigned to different combinations of product. 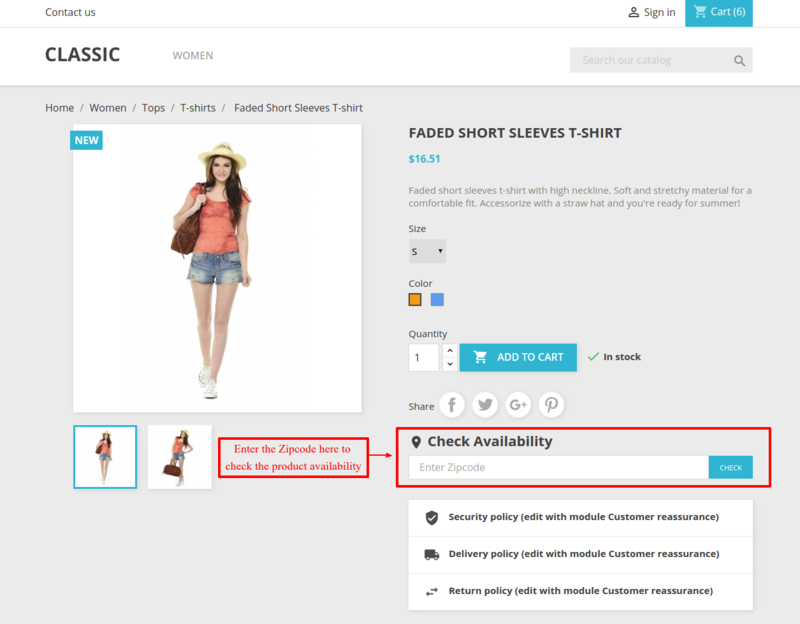 If the product is added to cart after checking the Zipcode Availability: Add to cart button is disabled in case the product is not available at the entered zip code. Hence, minimizing the chances of getting an order that you can not fulfil. 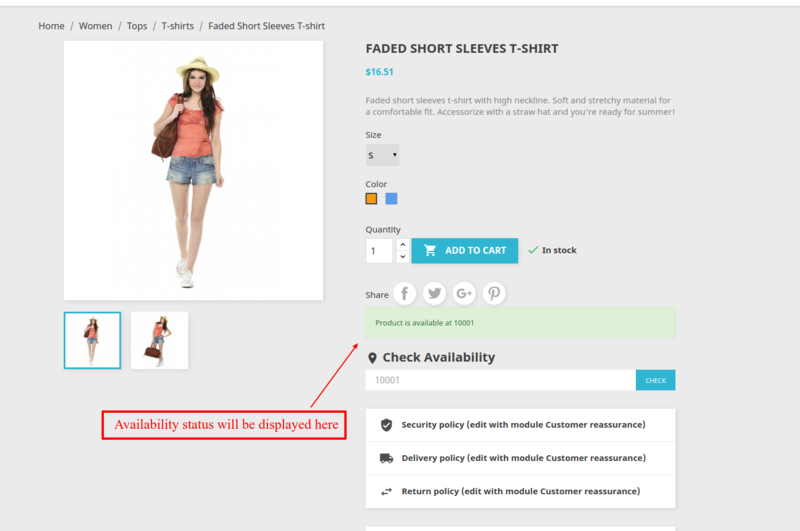 If the product is added to cart without checking Zipcode Availability: Order will not be processed until the unavailable product at the entered customer delivery address zip code is removed. After the installation, you need to configure the module. Admin can choose to have the product availability globally by enabling the “Default zipcode availability” without adding each & every zip code manually. This way the module is configured successfully. Once the module configuration and the installation is complete, a new tab is added ie. ‘zipcode validator’. The two options respectively “Global Zipcode” & “Product Zipcode” are available under zipcode validator tab. The zipcodes added through global zipcode will be applied to all the products. If the admin wants to add a CSV file for the zip code then first column name would be for ‘zipcode’ in which the zipcode would be written. The second column would be ‘active’, showing whether the product is available on the zipcode or not. You can use only two values for the active column, ie. 0 and 1. Admin can create a CSV file as per the format provided and you need to save the file with “.csv” extension. This way ‘global zipcode’ can be added. Now to add ‘product zipcode’. Admin can also add zipcode product wise. Now, different zipcodes can be added for different product combinations. Admin can view the list of zipcodes added to the product, on viewing the detail. You can also add product zipcode through CSV file format. 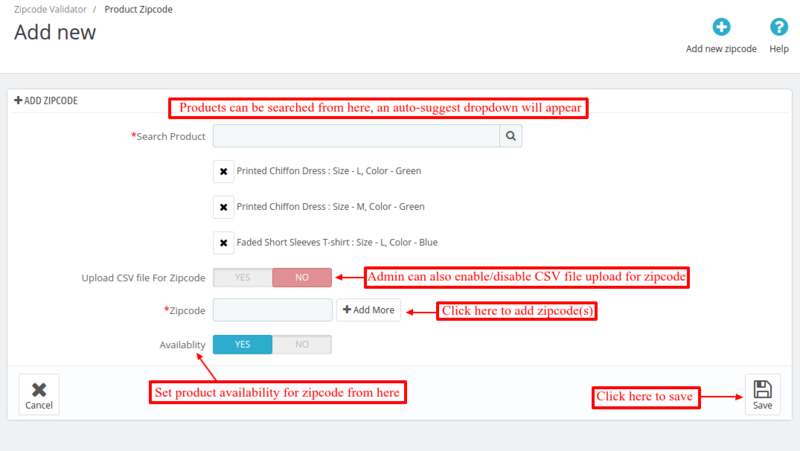 You need to choose the product and just upload the CSV file and then the zipcodes will be associated with the product. You can create a CSV file as per the format provided and you need to save the file with “.csv” extension. This way, user can search for the product availability through zipcode. Now on front end user can search the product availability through area zipcode. When Product is Available for delivery at the entered Zipcode. When Product is not Available at the entered Zipcode. 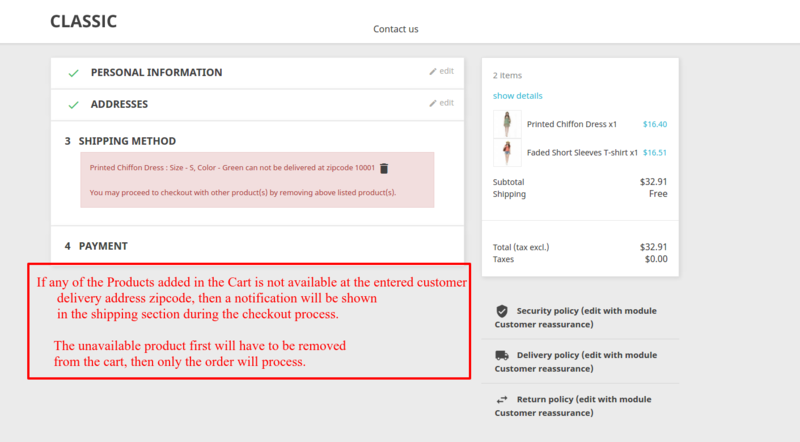 Add to Cart will be disabled and the User Cannot Order the Product. There can be a case that customers have added to cart the product without checking its availability at the entered delivery address zipcode. In that case: then a notification will be shown in the shipping section during the checkout process. 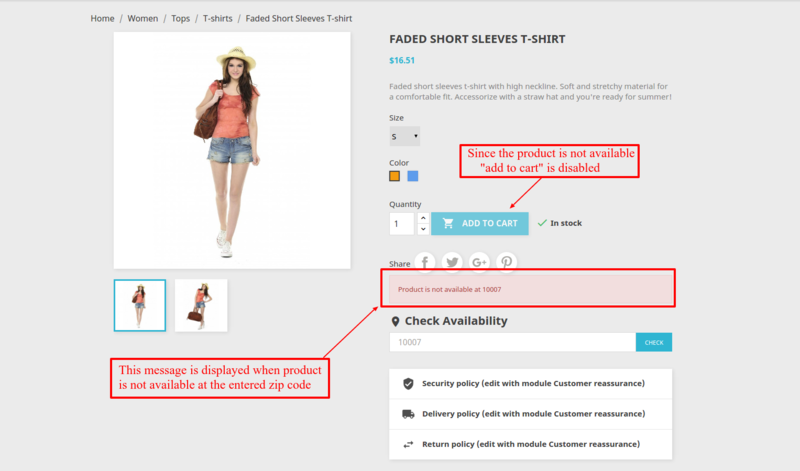 The unavailable product needs to be removed from the cart, then only the order will be processed. This is how our Zipcode Validator works.